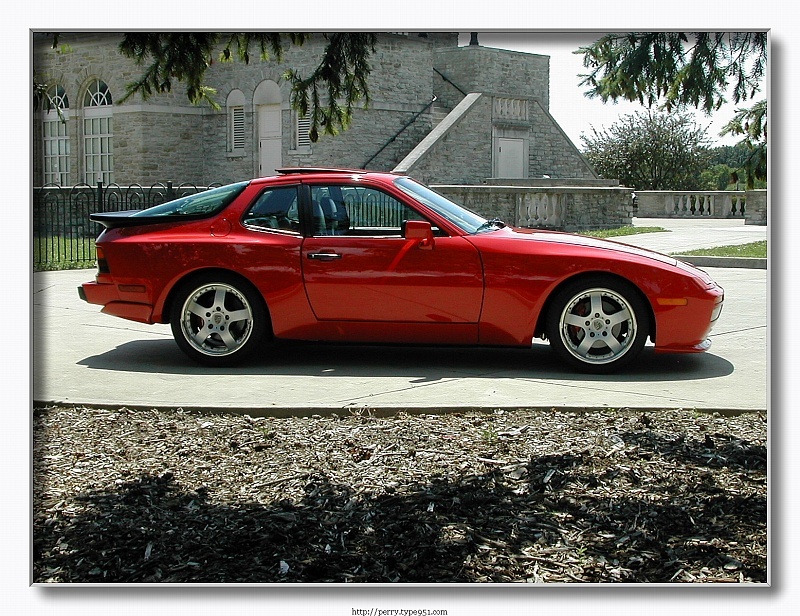 A site dedicated to the fire filled history of my award winning Porsche 944 Turbo. A New Interface *note - 1024 X 768 resolution or higher. Low quality site pending. Donations from the use of this free website will be accepted and proceeds will be split with Rennlist.com and the American Cancer Society. If you enjoyed your time on this site, or found helpful information, please make a small donation. Thank you in advance for helping to find the cure for cancer. The Porsche crest and namesake "Porsche" used herein, and within this site, are all registered trademarks of Dr. Ing. h.c. F. Porsche AG, not mine. Incidental usage, such as the Porsche name as an identifier, or the Porsche logo on vehicles in original content photographs, is purely coincidental. All images, logos, trademarks, and phrases used here and within this site belong to their respective rights holders (ie: Perry 951 or original creator ). All trademarks, logos, images, phrases, words, or similar information used herein and within this site reserve all rights of the original content provider or creator.